Not to be outdone by Warner Bros.' just-announced Jungle Book update, Disney has quickly shelled out a "high six figures" to adapt Neil Gaiman's The Graveyard Book—a spin on Rudyard Kipling's tale that is even darker than what ever Warner Bros. might have planned. "Oh, what—The Jungle Book has an orphan raised by wolves and pursued by tigers? That's nice. 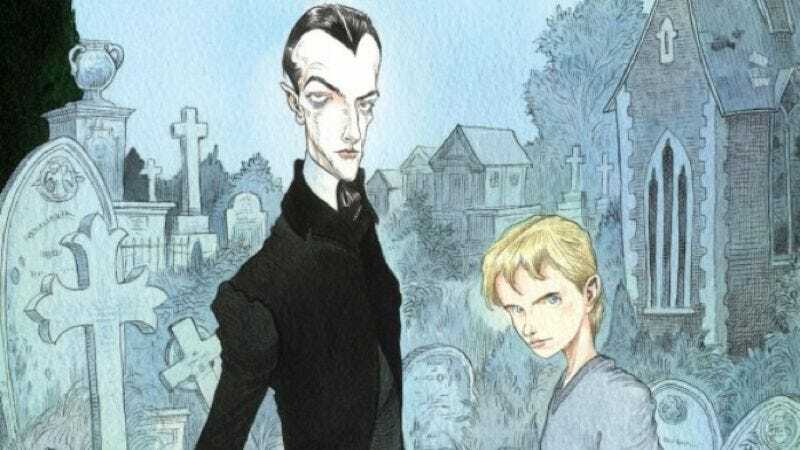 The Graveyard Book is about a kid whose entire family was murdered, so he's raised by ghosts. In a graveyard," Disney is saying, basically, in its effort to win today's unexpected contest of Kipling-indebted children's stories with sinister undertones. Anyway, we suppose the sudden timing of announcing a film adaptation of Gaiman's most lauded children's book since Coraline—a project that's been on the table at least since it was published in 2009—could be considered coincidental, but let's not pretend. It demeans us both.